Stay stylish by the pool or on the beach with this must-have swimdress. Comfortable and easy-to-wear, its stretchy fabric features a frilled design for good coverage, adjustable straps for a perfect fit and padded cups for a smoother silhouette. 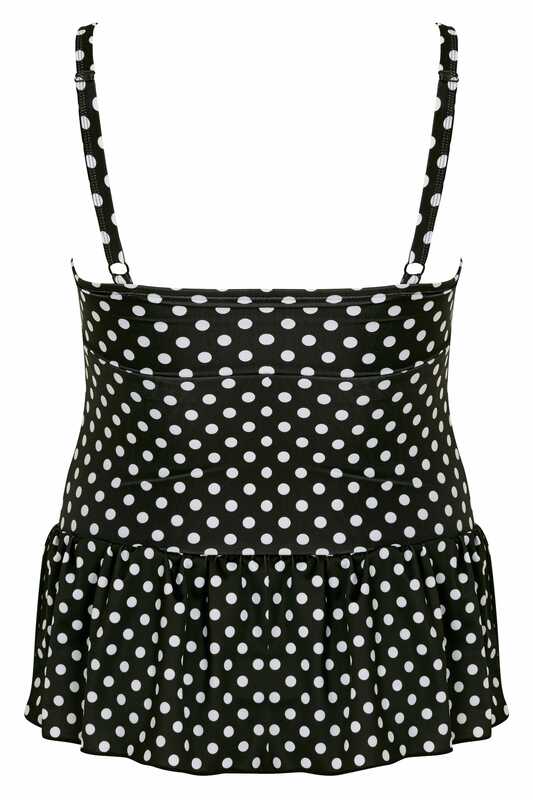 We love the fifties-inspired monochrome polka dot print!